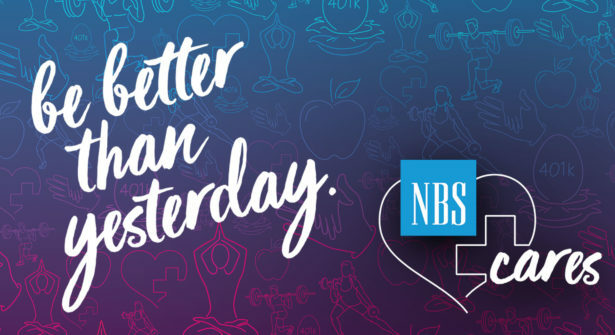 NBS is proud to share that our client, Defiance College in Defiance OH, has been awarded a Steelcase Education Active Learning Center Grant! 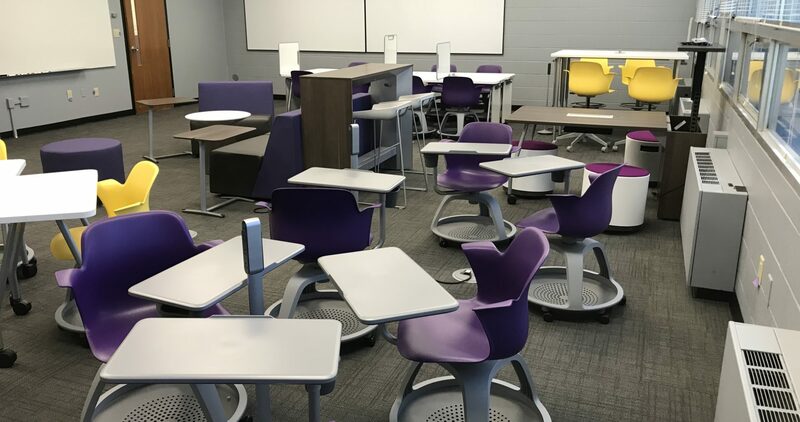 Defiance is among sixteen educational institutions to receive an active learning classroom this year valued at approximately $67,000 and includes design, furniture, installation and on-site training. 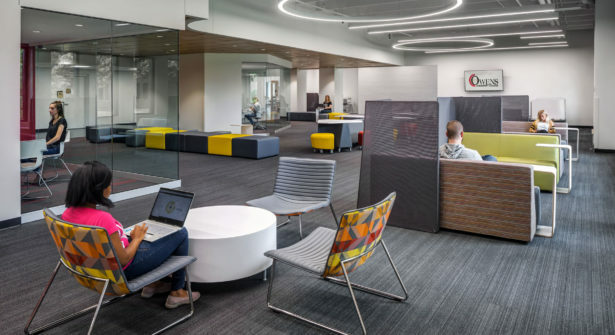 Steelcase’s grant program supports institutions who are already striving to implement active learning practices by installing a learning space with furniture designed to encourage student engagement and success. Defiance applied for the grant to go towards two inefficient classrooms consisting of crammed 1980s wooden chairs that hindered movement for professors and students. 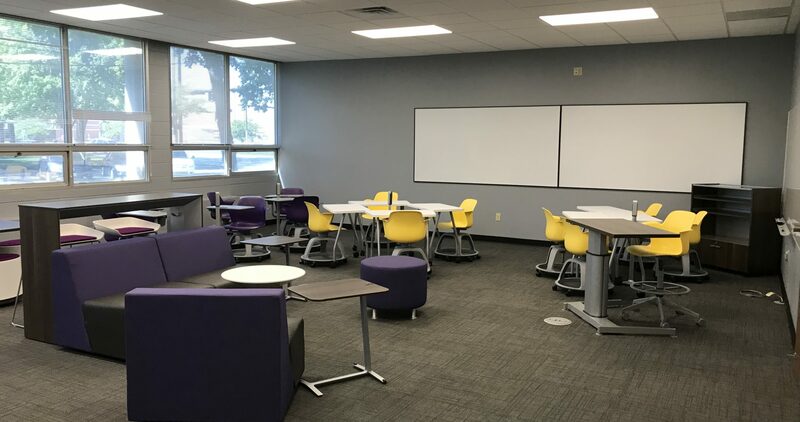 Defiance envisioned a space where the two classrooms were combined, providing 30 students the effective space utilization they needed for active learning to take place. 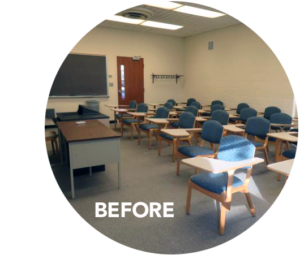 Once Defiance learned they had been awarded, they completed construction to combine the two classrooms, replaced florescent lighting with LED and laid new carpet tiles to prepare for the active learning environment, which included Steelcase Thread to bring power to the students. 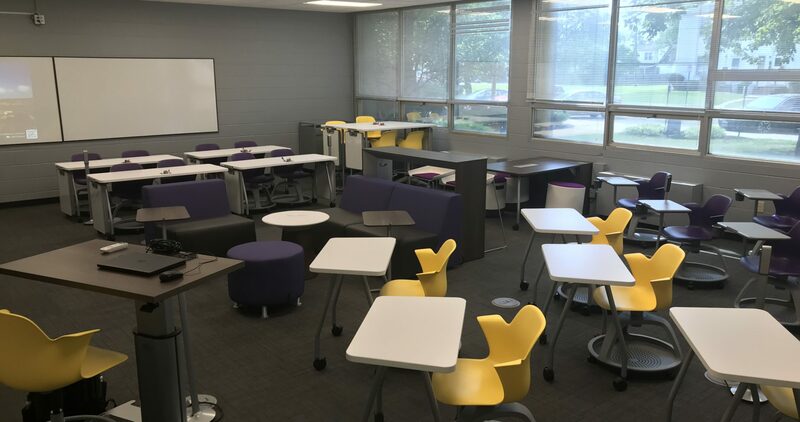 Defiance’s goal for the new classroom was to cultivate a positive community learning environment where students could be comfortable and confident sharing knowledge with peers. 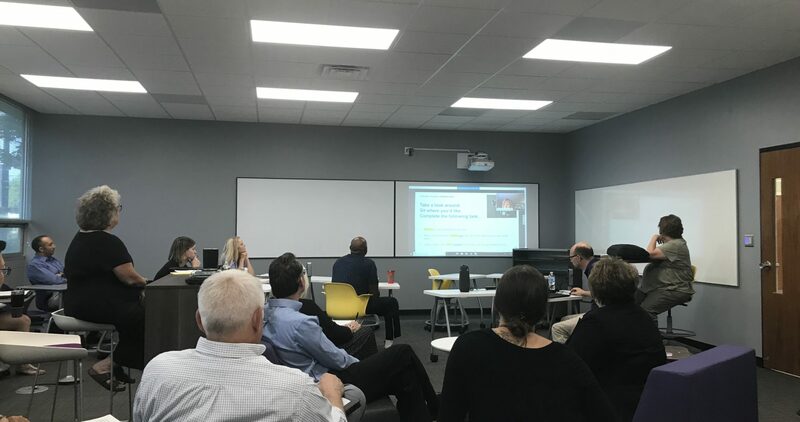 The new space provides students and professors the choice and flexibility to configure the room for individual work, small groups or whole-class discussions, thus encouraging learner-driven engagement. Active learning strategies are believed to effectively develop students’ non-cognitive, cognitive, and intrapersonal skills, all of which are critical for students’ success in school and the future. Skills such as communication, teamwork, critical thinking, and creativity can be gained from active learning environments. Defiance College plans to study the impact the new classroom has on student’s growth mindset and their successful transition in college. 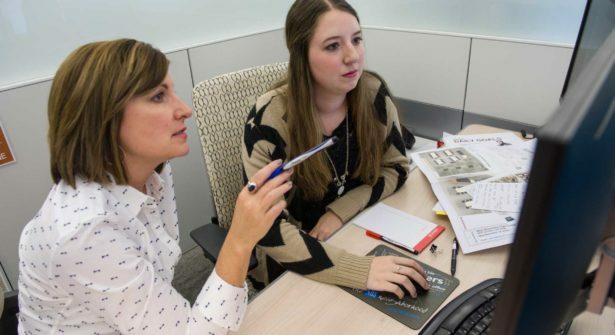 “The feedback from students and faculty in this new classroom is exciting. 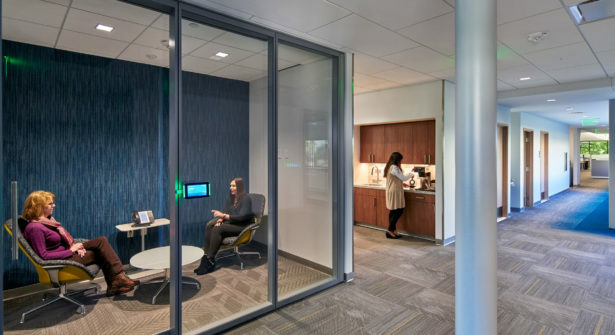 In working with Steelcase, we were able to create a space allowing for collaborative learning across the disciplines. We have been overwhelmed by faculty and student response to learning in this space,” says, Agnes Caldwell, Academic Vice President, from Defiance College. To learn more about Defiance’s goals for active learning research and development visit the Defiance College website.